Horrible and sweet are complete opposites, a border between which the mystery lies. 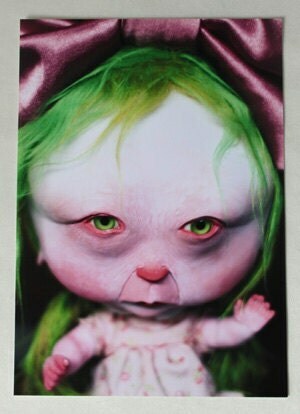 This is the basis of the art dolls of Lydia Dekker's HorribleSweet. Tell me about what you do, Lydia. 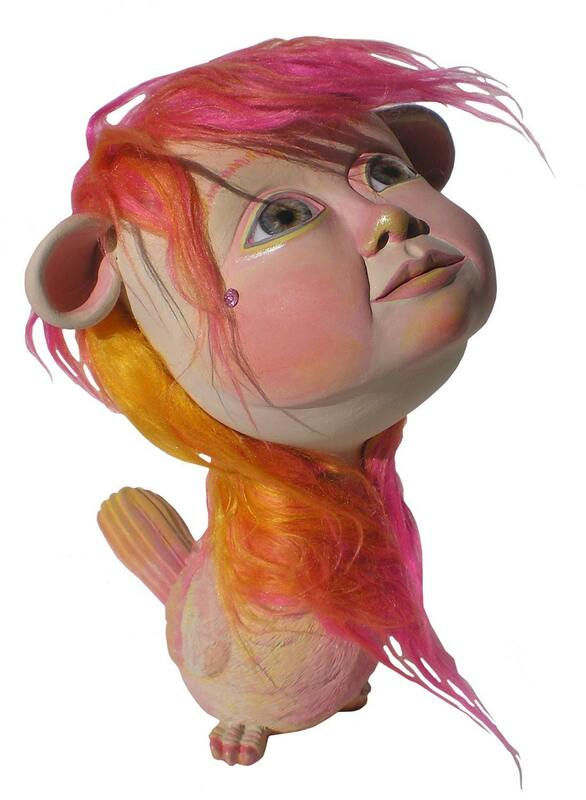 My sculptures are poetic, surreal figures and objects. . 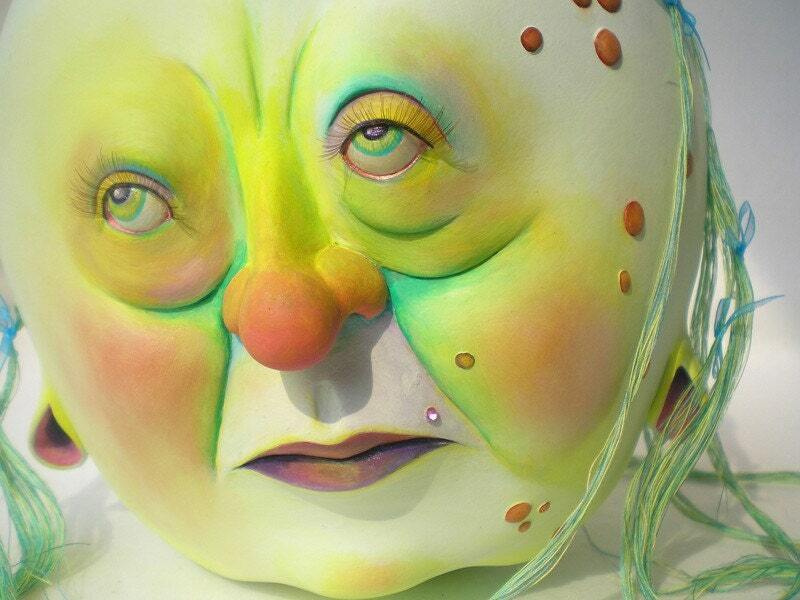 The figures contain a mix of subtle traces of mythology, pop culture, Japanese pop culture and contemporary design. They are neither hilarious nor serious, surreal but subdued. There is attention to detail, texture and emotion within the pieces. The subjects and use of colour give the sculptures a unearthly and dreamlike appearance.The elements that form my sculptures are juxtaposed which gives them a strange, uneasy edge. 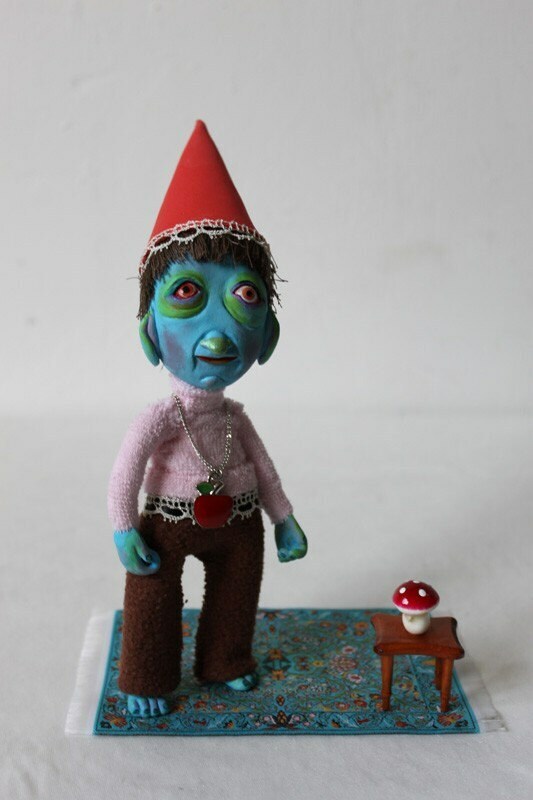 Next to the serious stuff I also make fun figures and other works of craft. I have been a craftworkaholic as long as I can remember. As a child I had a little craft workspace underneath the stairs in the living room, that my mother had created for me. It was my favourite place to be! After finishing high school I went to the art academy to study fine art. For me, working on my bigger art projects is hard and difficult, Working on my craft is fun and undemanding. I like to do both, love the challenges of the more serious projects and just enjoy working on my craft. Spending time with my son, family, friends and sculpting. I love staying at home to work on my figures. Networking and promoting my work. Finding the places and people that will feature my work and finding the people that would buy my figures and other crafts. This also applies to my bigger art projects. It is difficult for me to find the places where I can exhibit my sculptures. Finding a gallery that would be willing to represent my work is even harder. That is a difficult question to answer! I guess the figure with the bird body and multiple eyed fun head, called Alien. I made 8 of these bird figures and he still is my favourite. I don't think that I ever thought about the grown up life when I was a kid. I remember a teacher in primary school asking my classmates and me this question, I was the only child that left the question unanswered. I resiliently started thinking about, sketching and prototyping a line of ball jointed dolls and I am working on some huge sculptures. I hope that the day will come that I can live off my art and craft work.